Every button can be programmed to send the bi-direction RS232 and RS485 commands simultaneously to control third party devices. 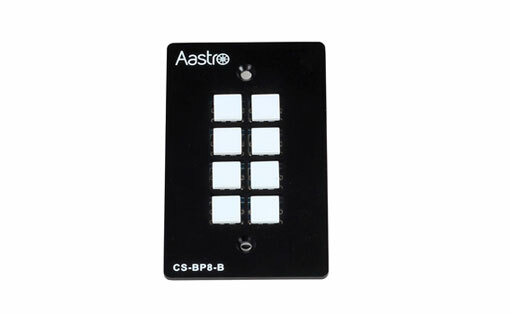 Every button can be programmed to send the infrared code, control the relay, to let them work simultaneously to control the third party devices. Every button is built in the infrared code and RS232 code learning function, and baud-rate setting. ID looping function. 99pcs programmable control panels can be looped and controlled together, by ID identifying. Programmed by USB or RS232, working with the PC software (PS-WP). Crystal and backlit buttons with easy user-friendly customizable changeable labels. The backlit brightness is controllable. Dimension: 11.4cm long and 7cm wide.